Mission The Cardea Center envisions a world without barriers to women’s success and is committed to empowering women, enabling them to enhance and develop their quality of life and become architects of their own future. We believe in investing in the ingenuity and strength of women and in the benefit of promoting women's access to opportunities across the Silicon Valley region and worldwide, connecting them to resources, information, leaders and opportunities contributing toward their personal and professional well being, advancement and equality. History At the beginning of 2005, Lata Patil, then on the Santa Clara County Commission on the Status of Women, seeded the idea of developing a dedicated space for Silicon Valley women to a small group of women. This group of activists, aware of the lack of a special space totally devoted to addressing women’s needs and for pursuing their various activities and projects, saw a vacuum that needed to be filled: a forum exclusively focused on all aspects of women’s lives, where women thrived and realized their maximum potential. A petition drive to assess this need galvanized more than 350 women in the community to lend their support. With more support from various women’s groups and in partnership with SCC Office of Women’s Policy, planning began in the summer of 2005. 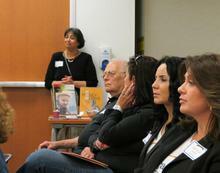 Focus groups were convened, and the concepts for a women’s center emerged. The center’s mission was shaped by listening to women’s voices in the community with a principle objective of providing access to resources and opportunities to the diverse groups of women in the area. 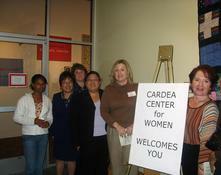 The Cardea Center for Women became a 501(C) 3 organization in the spring of 2008. Today the Cardea Center for Women works as a community of individuals and organizations – connecting, linking and advancing the interests of women. The Center sponsors events and forums for women throughout Silicon Valley and works to foster individual involvement in the betterment of women worldwide.